Disney’s Frozen grossed an estimated $1.3 billion at the box office so there is no surprise that there is a sequel to follow. Fans have been impatiently awaiting the details on Frozen 2 since it has been SIX years since the original movie premiered. It is safe to say that us Disney fanatics are more than ready for Frozen 2. November 22nd, 2019. The much anticipated sequel to Frozen will release a week earlier than originally planned. The original date would have put Frozen 2 premiering exactly 6 years from the premiere of the first movie! The original cast is back for more with the addition of 2 new characters (who we don’t know anything about yet). These characters will be voiced by the talented Evan Rachel Wood (Westworld) and Sterling K. Brown (This Is Us). In the photo Kristen Bell, Idina Menzel, and Santino Fontana (Hans) are tagged…but who is tagged as Sven? The Rock. Could Sven get a voice in Frozen 2? Could that voice be The Rock? Many are speculating that Gad could be referring this scene in Moana where Maui (voiced by The Rock) turns into Sven. Pretty vague, but as we get closer to the release date, more details will be revealed and we will update this post with everything we know! Move over “Let It Go” because there are at least FOUR new songs in Frozen 2. There are rumored to be at least 7 new songs in the works, but we have no clue if that is actually true or not. With the release of Toy Story 4 coming up this June, the Toy Story legend lives on for another generation! Here are TONS of adorable Toy Story Birthday Party ideas for your little ones. The Alien Jello Cups in this post look super easy and are made out of just 2 ingredients, green jello and edible eyeballs. How cute are these Mr. Potato head cookies? The same post also shows photos of Toy Story themed cupcakes, complete with Woody’s hat on top! 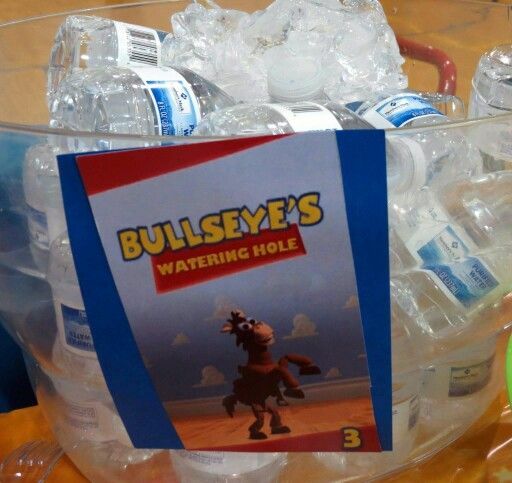 This is a great idea for bottled waters, Bullseye’s Watering Hole! 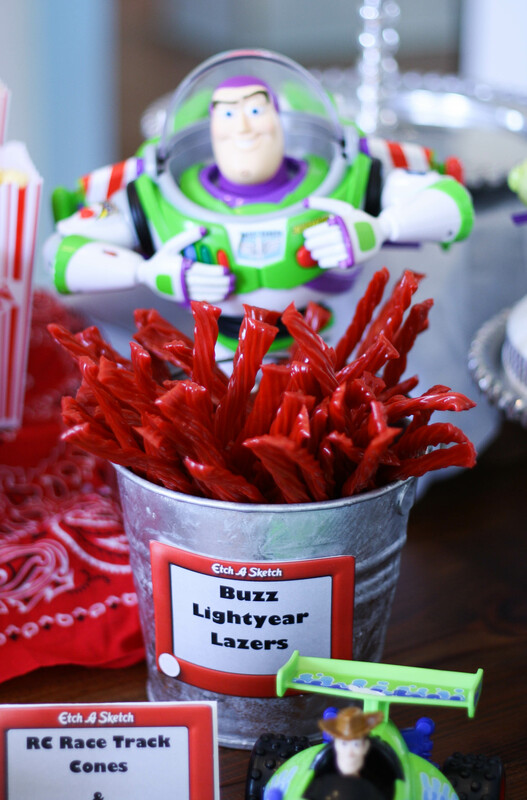 You can use Twizzlers as Buzz Light Year’s lasers! This Woody/Buzz combo cake are what Toy Story dreams are made of. 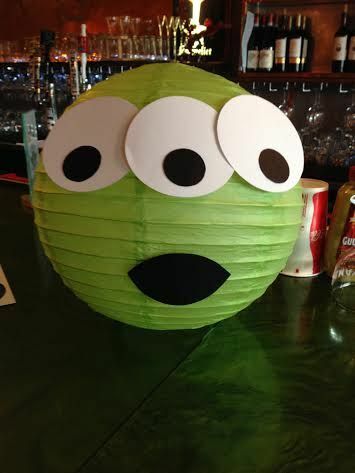 Easily turn a paper lantern into Toy Story Aliens! Create your own photo booth with these cute Toy Story photo booth props. Here is another creative Toy Story photo booth setup! Decorate your front door with Andy’s packing boxes idea. Make your own DIY claw machine for party decor that can be reused for room decor afterward! 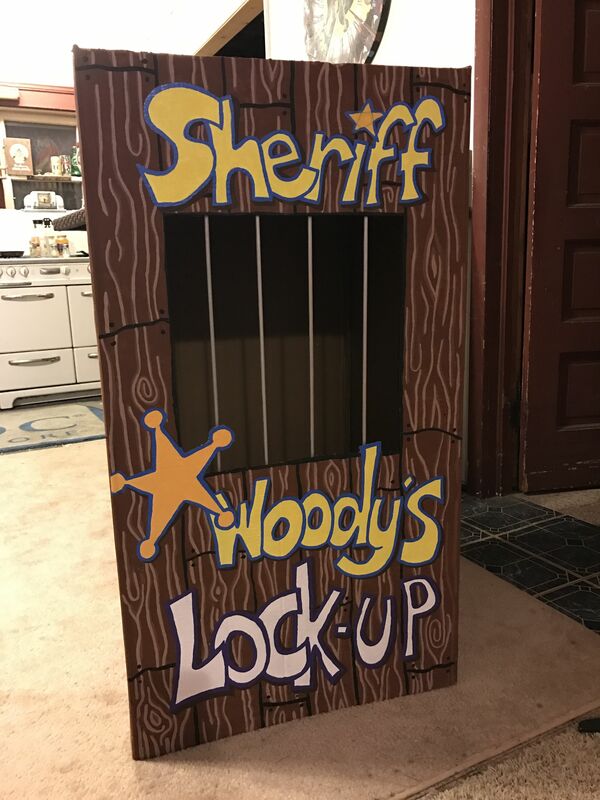 No Toy Story party is complete without Sheriff Woody’s lockup! Here is a tutorial on how to paint your own Toy Story clouds for party decor. This Toy Story Happy Birthday banner is perfect for a party! If you are making cupcakes you might need these Toy Story cupcake toppers. Here is all you need for a fun pin the tail on Bullseye game! Have fun with this Jesse and Bullseye ring toss. This site even provides the printable you need to create the game yourself. How many army men are in the jar guessing game could be a fun way to give out prizes at the party! Here is a cute Toy Story Bingo game. All you have to do is order the bingo cards and then print them out! Want to know more about the BRAND NEW Toy Story movie coming out this summer?! Check out the new teaser trailer below, then hop on over to this post to learn more about the new movie, who is going to be in it, and when it comes out in theatres! Visit this post to learn more about the must-see movies that Disney is releasing in 2019! Disney is gearing up for an EPIC year of movie premiers. Get ready to see a lot of familiar faces with tons of our favorite Disney characters making reappearances! The film stars Will Smith (“Ali,” “Men in Black”) as the larger-than-life Genie; Mena Massoud (“Tom Clancy’s Jack Ryan”) as the charming scoundrel Aladdin; Naomi Scott (“Power Rangers”) as Jasmine, the beautiful self-determined princess; Marwan Kenzari (“Murder on the Orient Express”) as Jafar, the powerful sorcerer; Navid Negahban (“Legion”) as the Sultan concerned with his daughter’s future; Nasim Pedrad (“Saturday Night Live”) as Dalia, Princess Jasmine’s free-spirited best friend and confidante; Billy Magnussen (“Into the Woods”) as the handsome and arrogant suitor Prince Anders; and Numan Acar (“The Great Wall”) as Hakim, Jafar’s right-hand man and captain of the palace guards. On Oct. 23, 1941 the Walt Disney classic animated tale “Dumbo” premiered and from there became one of the biggest animated movies of all time. Today, almost 80 years later, we are anxiously awaiting the premiere of the Tim Burton live-action remake of the classic film! …and I am already crying. The trailer that premiered just yesterday pulls at the heartstrings by bringing this classic to life! Disney’s Aladdin hits theatres everywhere on May 24th, 2019! Aladdin, Genie, Jasmine, and Jafar are BACK and this is our first official glimpse into the new live-action version of Disney’s Aladdin! The larger than life character that everyone knows and loves, Genie, (previously voiced by the late Robin Williams) will be played by none other than Will Smith! In my opinion, there is no better choice to fill that role! Mena Massoud will play the charming scoundrel Aladdin; Naomi Scott as Jasmine, the beautiful, self-determined princess; Marwan Kenzari as Jafar, the powerful sorcerer; Navid Negahban as the Sultan concerned with his daughter’s future; Nasim Pedrad as Dalia, Princess Jasmine’s free-spirited best friend and confidante; Billy Magnussen as the handsome and arrogant suitor Prince Anders; and Numan Acar as Hakim, Jafar’s right-hand man and captain of the palace guards. Get ready to step into a new world this holiday season with Disney’s The Nutcracker and the Four Realms! I have been not so patiently waiting for this movie to be released and the FINALLY the release date is right around the corner. On November 2nd, Disney’s The Nutcracker and the Four Realms will open in theatres everywhere! While we wait for the movie to be released in just a few short weeks, we will be working through these fun coloring and activity sheets! They are all themed around the movie and are a really fun way to get kids excited about the movie before it actually comes out! Simply click on the page to download and print. There are so many fun ones to choose from!